Opera 35 For Computers is Now Available - Pelbox Solutions Top rated web development mobile app development company. 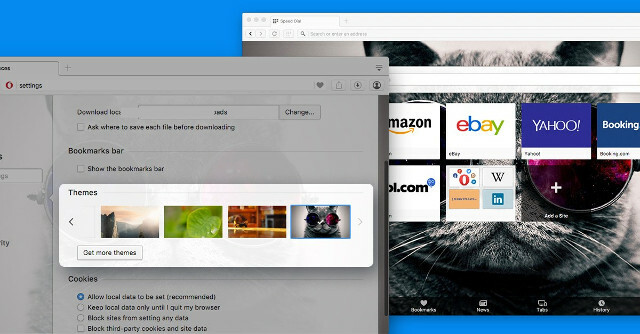 Opera web browser has recently got a major update, and the new version, Opera 35, comes with several features and bug fixes, as well as enhancements. For web designers and developers who work across multiple tabs, the newest version, Opera 35, lets you easily mute tabs. 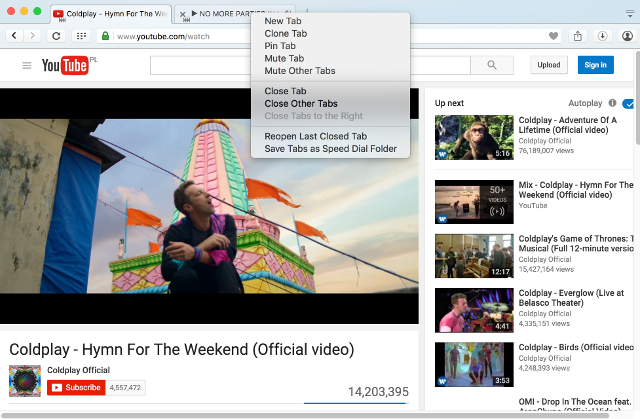 Thus, when you open multiple tabs, and if one of them starts playing that odd video, you need not worry about locating that tab and closing it; Opera 35 will handle it for you. Plus, if you wish to unmute any one specific tab or a set of tabs, and mute the rest, you can simply right-click on that particular tab and unmute it. Plus, the download interface too has been revised and updated, and it now shows you all your downloaded files such as documents, videos and music, in a streamlined fashion. Opera 35 also comes with a good deal of customization tweaks, and you can now change themes and other appearance options directly from the settings panel. You can decide the startup behavior of your browser, as well as customize the appearance of the bookmarks bar, cookies menu, and downloads interface individually. The latest version of Opera builds up on the developments of the previous year. Back in 2015, Opera added video compression for Android devices, as well as features such as Opera Max that can reduce your data usage when viewing videos or streaming music online via mobile devices. Opera 35 for desktop further focuses on a revamped interface and distraction-free web browsing experience. Opera is not as popular as the likes of Chrome or Firefox, but amongst mobile users, it has a decent user base. Plus, Opera on desktop is fully cross-platform, and works well with most major operating systems, including Linux. As such, it is a worthy contender in the world of web browsers, though Opera 35, with all its bells and whistles, still does not seem like a viable replacement for Chrome or Firefox anytime soon. If interested, you can download Opera web browser here. ImpressPages CMS: Drag and Drop All the Way!